Last month LinkedIn shared the 25 Hottest Skills of 2014, giving insight into the job market and what’s to come in 2015. If you look at the list, you’ll notice a common theme – tech. “Tech talent” has become a buzzword of sorts lately, and for good reason. Of the top 25 global skills, only two aren’t directly tech related: recruiting (which, to the point of this post, is often tech related) and economics. Hiring for roles that require these skills won’t be slowing down anytime soon. A trio of surveys found that employers are looking optimistic in their plans to hire this year, with science, technology, engineering and math (STEM) hiring getting even more competitive. An estimated 31% of employers say they expect to add full time, permanent STEM jobs this year, compared to just a quarter in 2014. OS, Mac OS X, iOS 7, .NET, CSS, PHP… These may sound similar to the non-coder, but for tech recruiters, it’s critical to be familiar with and understand different coding skill sets. 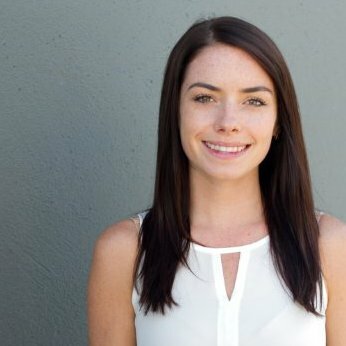 Looking for a back-end developer? The ideal candidate should be versed in C#, Java, PHP, Python and Ruby. Take the time to learn the differences between tech skills so you can fully understand job descriptions and speak with developers in their own language. After employee diversity came under the spotlight and the tech industry faced criticism that its workforce was mostly white and mostly male, we can expect an increased importance placed on diversity recruiting in 2015. Many employers are taking strides to address the problem and investing in programs that support females interested in coding, such as Girls Who Code, WEST (Women Entering and Staying in Tech) and LinkedIn’s annual DevelopHer Hackday. Cast a wide net in your hunt and be on the lookout for rising diverse tech talent from programs like these. Finding the right tech candidate is only the first challenge. Knowing what will get their attention is the next. Are they male or female? A millennial or baby boomer? Female engineers prioritize different things than men, and vice versa. For example, in a survey of 1,000 global female engineers, LinkedIn found that good work/life balance ranked #1 as the most important attribute in a job, compared to men’s preference for excellent compensation and benefits. While tech talent spans generations, millennials tend to have different personalities and priorities. According to a survey of 1,290 young professionals on LinkedIn, if you’re targeting a millennial, they’re likely valuing compensation and benefits, work/life balance and culture most in a job. Determining what’s most important to a candidate and finding the right company and cultural fit is key to a successful hire. 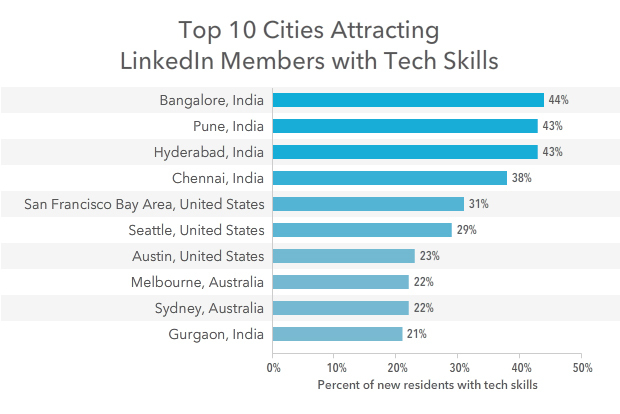 It shouldn’t come as a surprise that India and San Francisco are hot spots for tech talent, but the number of new residents with tech skills is pretty astonishing. Last summer LinkedIn took a close look at 300 million member profiles to see where tech talent is moving across the globe. Bangalore, Pune, Hyderabad, Chennai and San Francisco are among the top cities experiencing tech booms, with between 31 and 44 percent of new residents possessing technology skills. Definitely not bad talent pools to dive into. Looking to dig deeper? Don’t forget about the bounty of talent pool reports from Talent Connect 2014! The LinkedIn Insights Team shared access to reports covering more than 4,500 distinct professional audiences, and the top 20 reports based on talent pool size are now available on SlideShare. The year has only just begun and we’ve already hit the ground running. Before you get any further, take a breather and revisit the basics to make sure your strategy can keep up with the competition.